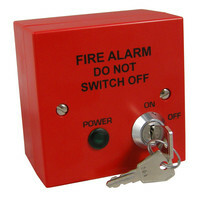 Compliant mains safety isolator keyswitch for fire alarm systems. Meets the reuirements of BS 5839 Pt.1 2013. Double pole isolation (both live & neutral supply is switched). 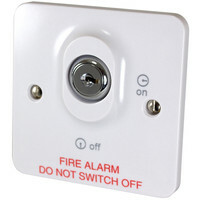 Indoor keyswitch with single pole relay. Option of 2 or 3 position keyswitch. Option for key to be trapper or un-trapped. 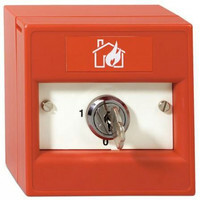 A high-quality lockable double pole Fire Alarm Control Panel Mains Keyswitch. 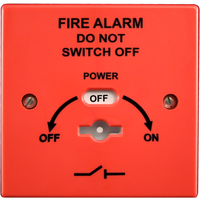 Allows the Mains supply to a fire alarm panel to be switched on or off in accordance with BS 5839-1. 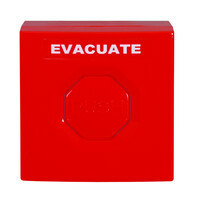 Ideal for use during routine test and maintenance (e.g. battery test, main board replacement etc). Note, if working on the Mains in the panel you must also follow correct practice and isolate the Mains supply at the distribution board. Flexible triggering - Switched Negative trigger or two wire only bell trigger. 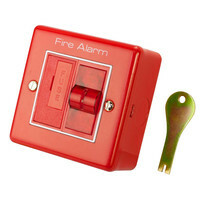 Buzzer (adjustable) indicates the Isolated state or timer operating.